Our big news this week is a change in Amber's special low FODMAP diet! We've been using a gluten-free diet since May of 2013 and then the more restrictive low FODMAP (Fermentable Oligo-Di-Monosaccharides and Polyols) diet since Amber was diagnosed with fructose malabsorption back in October of 2013. When Amber's illness first became noticeable she did not tolerate any food with fructose (natural or otherwise) along with a laundry list of additional foods including corn and soy. We had to strictly follow the diet in order for her intestines to heal the damage caused by the malabsorption. Slowly over the past two years Amber has healed and we've seen her tolerance for certain food categories increase - she can actually ingest some pure cane sugar. We have been cautiously optimistic about her chances of returning to a more normal diet. First bite of wheat bread in almost three years. Today we had a six month follow-up with the dietician. Just going six months between consults is a miracle considering we started at every 4 weeks. Amber's vitamin levels are all normal again, and she has the go-ahead to try additional categories of food. We had already started small trials of wheat, which have been successful. Wheat contains chains of fructose, called fructans, that Amber did not tolerate at all in the beginning. Now she appears to tolerate moderate amounts of fructans in wheat, onion, and brown rice. This means Amber does not need to live an entirely wheat-free life! We've been advised to limit her wheat intake and use wheat alternatives when possible, however Amber can eat wheat products (assuming all other ingredients are tolerated) when away from home or when the wheat option is the most palatable. Oh glorious day. 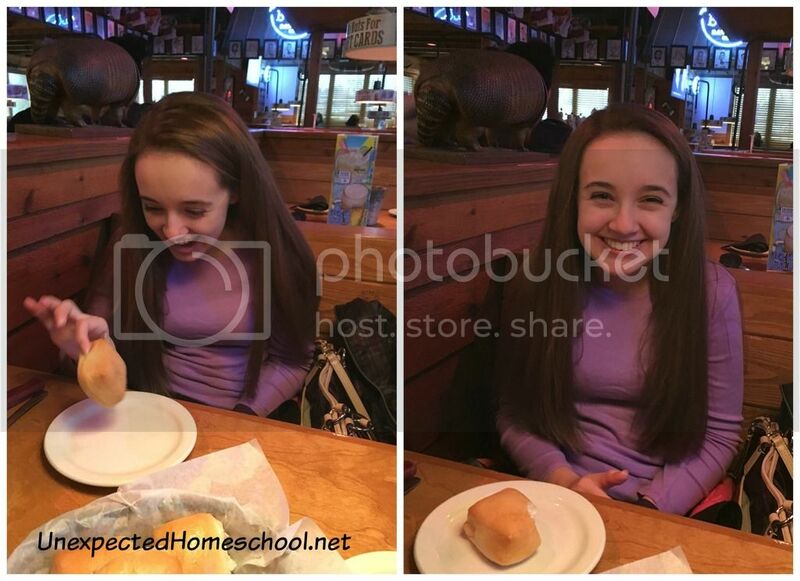 Her beloved Texas Roadhouse rolls (sans honey cinnamon butter). She was overjoyed. It is believed Amber will probably not ever tolerate honey, molasses (including brown sugar), agave, and the like. They are so ridiculously high in fructose. Still, we can definitely deal with healthier (for Amber) alternatives like pure cane sugar and maple syrup / sugar. These are easy limitations compared to facing a lifetime of restrictions like the last couple of years. We still have months worth of food trials to complete, but we have enough knowledge to select items with a high chance of success. And being able to eat the occasional wheat bread goes a long way to helping Amber's defeated feeling as of late. Merry Christmas Amber - you may now enjoy wheat again! What awesome news! So glad to hear of the success! I am so happy for both of you. This is wonderful news! I remember the joy when Dean started tolerating some food that opened up his diet. I am doing hand stands in my mind for you all! Thanks! I didn't realize how much stress the diet put on us until some of the restrictions were lifted. It was like breathing again after years of holding my breath. Wheat, even in small quantities, is amazing! Merry Christmas to all of you. Awesome news! Amber looks thrilled! 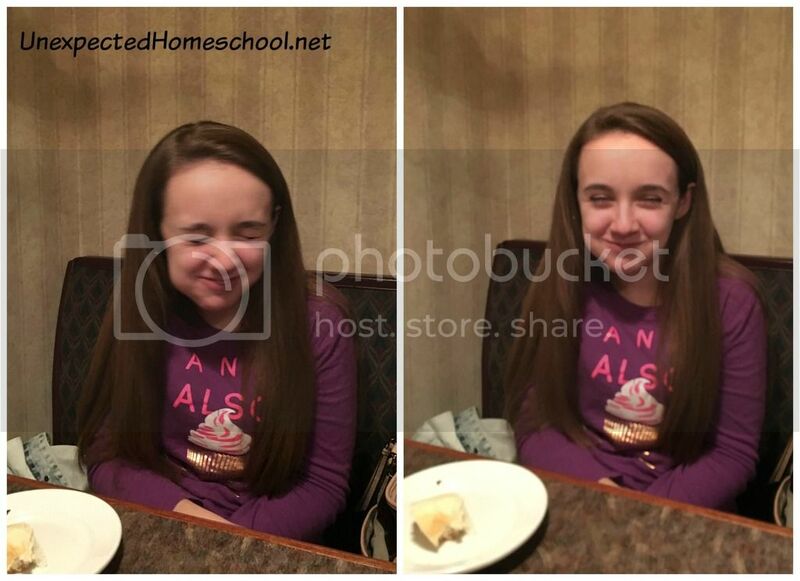 I am so happy that Amber intestinal issues are beginning to heal!